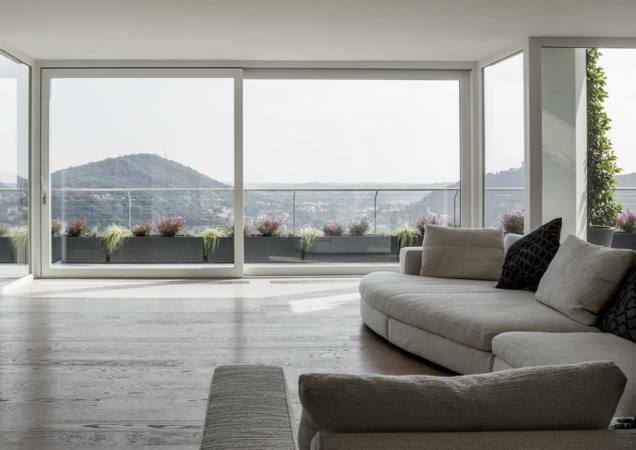 Erco raise and slide windows can be made of up to six movable doors that are operated also with heavy weight glasses, thanks to the handle and the simplicity of the manoeuvring mechanism. 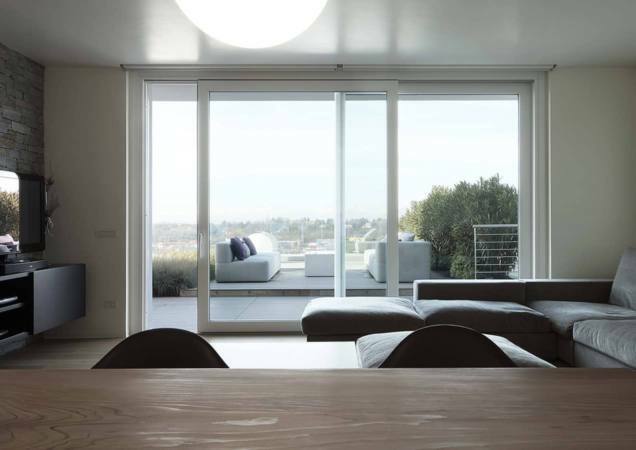 This sliding window can be made angular without opening interruptions. Raise and slide internal view. Minimum space thermal cut threshold. 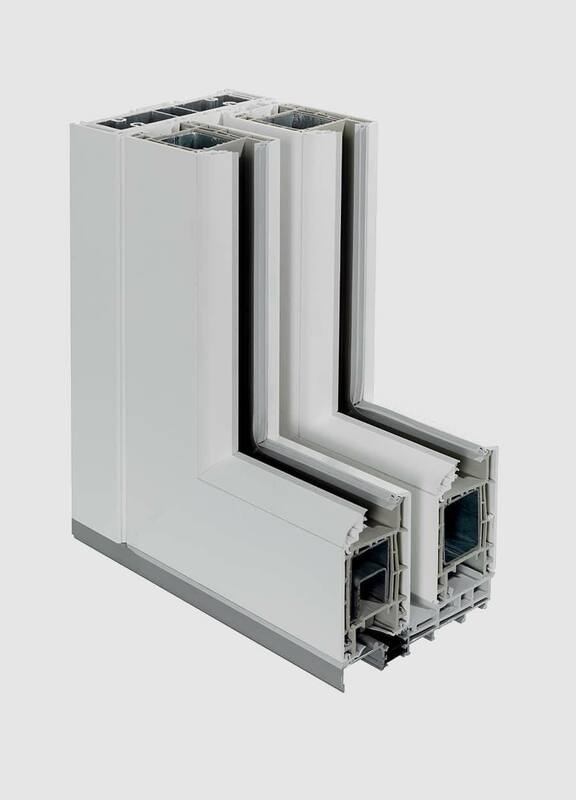 Erco raise and slide window is equipped with a lowered threshold to facilitate passage and at the same time ensures a perfect thermal-acoustic insulation. 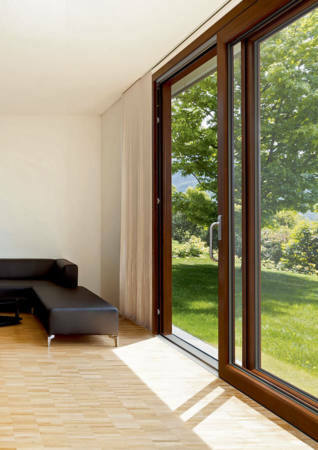 This sliding window can be provided on request with double handle locks and motorised movement, curtains or inner glass venetian blinds, and is also available in numerous exterior paints and real wood interior finishing in addition to traditional colours. Fixture with raise/slide opening system, it is ideal for large openings. 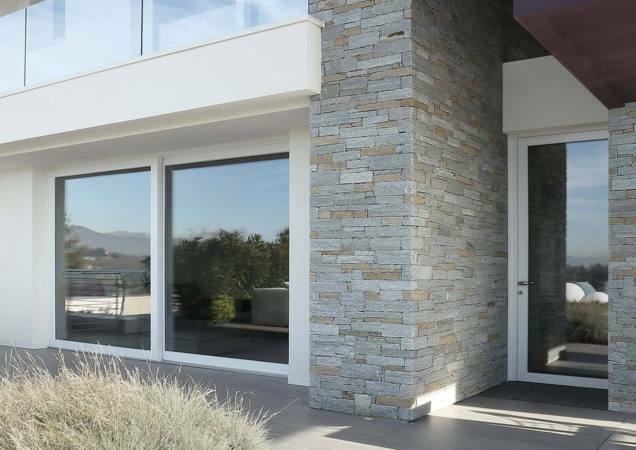 Manufactured with specifically designed profiles, they can be made of up to six movable doors that are operated also with heavy weight glasses, thanks to the handle and the simplicity of the manoeuvring mechanism. It can also be made angular without opening interruptions. 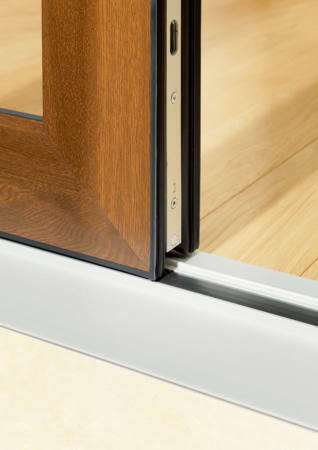 The raise and slide window has a lowered threshold to facilitate passing, ensuring perfect thermal-acoustic isolation. 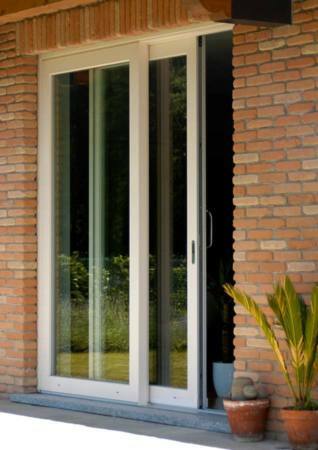 On request it is possible to mount double door opening handles with lock, in addition to motorised movement, curtains or venetian blinds inside the glass. In addition to traditional colours, it is available also with external varnishing and aluminium outer coating. In addition to the traditional white, ivory, wood painted grey, ERCO offers a complete range of RAL colours for creating special effects; this proposal opens up interesting prospects in those areas where design and customisation require innovative and original solutions. To keep fixtures always beautiful and efficient, in addition to normal cleaning of windows and profiles with neutral and non-aggressive detergents, Erco provides a specific maintenance Kit through its Partners containing 4 essential products: intensive cleaner to remove dirt; protective product to keep the seals elastic; lubricant for hardware to ensure sliding; antistatic and soft cloth that is specific for window surfaces.